Craig W. Andresen is a consumer bankruptcy lawyer in Bloomington, Minnesota, with 30 years experience in consumer and small business bankruptcy cases. 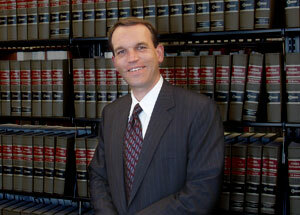 Mr. Andresen has been a member of the Bankruptcy Law Network since 2007. He is the Minnesota chair of the National Association of Consumer Bankruptcy Lawyers, and is a member of the Minnesota State Bar Association’s Bankruptcy Section. His offices are located at 2001 Killebrew Drive, Bloomington, Minnesota, right across the street from the Mall of America. Mr. Andresen lectures often on the topic of consumer bankruptcy at local and national legal seminars.